President Donald Trump will officiate the coin toss at the upcoming Army-Navy game on Saturday. Trump will become the tenth sitting president to attend the game in a tradition that goes back all the way to our 26th President, Theodore Roosevelt, who kicked off the trend in 1901, according to USA Today. Saturday’s game between the No. 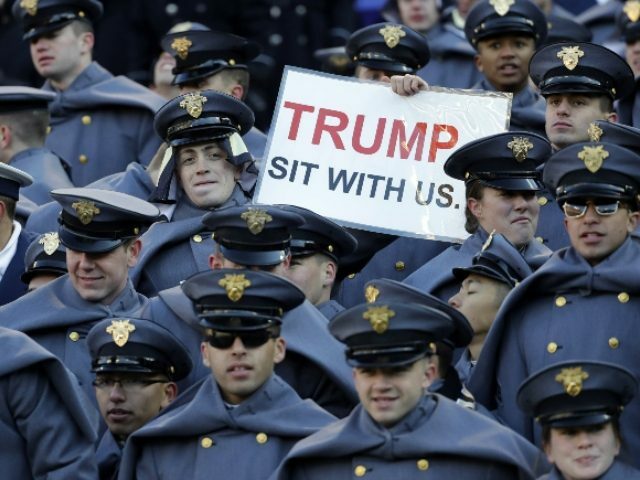 22 Black Knights (9-2) and the Navy’s Midshipmen (3-9) will be Trump’s first as president. Army hopes to expand its winning streak to three after losing fourteen in a row in a rivalry that has been underway since 1890. The record since 1890 shows Navy with 60 wins, Army with 51 and seven ties. But Navy has the biggest winning streak between the two with fourteen wins from 2002 to 2015.